This article is about the men's team. For the women's team, see Egypt women's national football team. The Egypt national football team (Egyptian Arabic: مُنتخب مَــصـر‎, Montakhab Masr), known colloquially as The Pharaohs, represents Egypt in men's International association football and is governed by the Egyptian Football Association (EFA) founded in 1921, the governing body for football in Egypt. The team's historical stadium is Cairo International Stadium but since 2012 the team has played most home games at Borg El Arab Stadium in Alexandria. Between 1958 and 1961, the team combined with Syria to form the United Arab Republic national football team, although the team's records are attributed only to Egypt by FIFA. Egypt is the most successful national team in Africa, having won the Africa Cup of Nations a record seven times: the inaugural edition in 1957 and on home soil in 1959, as well as the 1986 edition, Burkina Faso in 1998, 2006 in Cairo, Egypt, Ghana in 2008 and Angola in 2010 edition. Egypt has also been as high as ninth in the FIFA World Rankings, making the team one of only three African national teams to enter the world's top ten (the other two are Nigeria and Morroco). Despite their respectable continental record, Egypt has so far made only three appearances in the World Cup (in 1934, 1990 and 2018), failing to win a game on all three occasions. The Egypt national team was the first team not from the Americas or Europe to qualify for the World Cup. Egypt is notorious for holding a spectacular continental record but yet failing to deliver in the world stage. Their first and second participation was separated by 56 years and 13 days, a record. Their third participation was 28 years and 3 days later. Another record Egypt holds is the oldest player to have every played at the World Cup. Goalkeeper Essam El-Hadary, at 45 years old, played the full 90 minutes against Saudi Arabia, where he was able to save a penalty. The first Egyptian national football team was constituted in 1920 to compete in the Summer Olympics in Belgium. The opening match of their campaign was a loss against the Italians. Egypt had appeared in three FIFA World Cups and they are the most successful team in the Africa Cup of Nations, winning the competition seven times, with the 2010 Africa Cup of Nations being the most recent one. Egypt first participated in the first Africa Cup of Nations tournament in 1957. In their first game, which was a semi-final, they faced Sudan, winning 2–1 with goals from Raafat Attia and Ad-Diba, enabling Egypt to play in their first final. In the final, they faced Ethiopia, in which Egypt won 4–0, with these goals being scored by Ad-Diba, thus making them champions for the first time in the Africa Cup of Nations. The top scorer of this tournament was Ad-Diba from Egypt with five goals. In their second participation in the Africa Cup of Nations in 1959, Egypt became champions again. There were only three teams in that tournament, being Ethiopia, Sudan, and Egypt itself. Egypt again was undefeated in this tournament, like in the previous tournament in 1957, defeating both Ethiopia and Sudan. Their third appearance, which was in the 1962 African Cup of Nations, hosted in Ethiopia, in which Egypt faced Uganda in the semi-finals, there were only four teams in this tournament, by a score of 2–1. Egypt then advanced to the finals, where they faced the hosts Ethiopia, but they lost 4–2 during extra time, thus losing their first final in the Africa Cup of Nations, along with Ethiopia becoming champions for the first time and also being the first nation to win it other than Egypt, who were champions twice. Their fourth appearance came in 1963 in Ghana. Egypt was placed in Group B with Sudan and Nigeria, winning Nigeria with a score of 6–3, but drawing 2–2 against Sudan. Despite being undefeated in the group stage, they were ranked second, behind Sudan by goal difference. Egypt, as runners-up in Group B, participated in the 3rd place match, playing against Ethiopia, winning Ethiopia 3–0. For the 1965 Africa Cup of Nations, Egypt did qualify for the tournament, but they withdrew because of their diplomatic relationship with Tunisia, who were hosts of the tournament. Again, Egypt withdrew from the 1968 Africa Cup of Nations, against hosted in Ethiopia. In the 1970 Africa Cup of Nations, hosted again in Sudan, Egypt were in Group B along with Ghana, Guinea, and the Democratic Republic of the Congo, known as Congo-Kinshasa back then. In their opening match, Egypt defeated Guinea by a score of 4–1, in which Ali Abo Greisha scored twice, Hassan El-Shazly scored once, and Taha Basry also scored once during that game. Egypt's next game was against Ghana, which ended as a 1–1 draw, with Ibrahim Sunday scoring for Ghana and Bazooka scoring for Egypt. In their third game in this tournament, they faced Congo-Kinshasa, in which Egypt won 1–0 by a goal from Abo Greisha. Egypt ended being in first place, thus advancing to the next round, where they faced Sudan. In the game against Sudan, Egypt lost their first game in the Africa Cup of Nations by a scored of 2–1, with El-Shazly scoring the equalizer that put Egypt to extra time, before being scored again by Sudan, thus eliminating them from playing the final. However, in the third place match, they won Ivory Coast by a score of 3–1, making Egypt become third place again in this tournament. For the 1972 Africa Cup of Nations, Egypt failed to qualify for the first time in this tournament after being eliminated by Morocco by an aggregate score of 5–3. However, Egypt returned for the 1974 African Cup of Nations, in which they were hosts for the first time. In the group stage, Egypt were in Group A with Zambia, Uganda, and the Ivory Coast. Egypt was successful, defeating Uganda 2–1, Zambia with a score of 3–1, and the Ivory Coast by a score of 2–0. They progressed to the semi-finals to play against Zaire. Egypt lost 2–3 against Zaire, so Egypt had to face Congo for third place. Egypt won Congo by a score of 4–0. In the 1976 African Cup of Nations, in Ethiopia, they were in Group A with the hosts Ethiopia, Guinea, and Uganda. Egypt defeated Uganda 2–1, but drew against Uganda 1–1 and Ethiopia, also 1–1. Despite this, Egypt advanced to the final round. In the final round, Egypt lost all their games. Egypt lost to Morocco 2–1, 4–2 against Guinea, and 3–2 against Nigeria. However, they scored in these three matches. This is the first Africa Cup of Nations tournament that Egypt lost 3 consecutive games. Egypt again failed to qualify for the 1978 African Cup of Nations in Ghana. Egypt reappeared for the 1980 African Cup of Nations in Nigeria. Egypt, Nigeria, the Ivory Coast, and Tanzania, were in Group A. They won in their first game against the Ivory Coast 2–1, defeated Tanzania 2–1 too, but lost to the host Nigeria by a score of 1–0, scored by Okey Isima. Egypt progressed to the next round which was the semi-finals, to face Algeria. Egypt lost this game 4–2 in penalties, after drawing 2–2 after extra time. For the third-place match, Egypt lost to Morocco, making Egypt being in the fourth place rank. Egypt withdrew during qualifying for the 1982 Africa Cup of Nations in Libya. For the 1984 Africa Cup of Nations, Egypt returned. Egypt, Cameroon, the Ivory Coast, and Togo, were drawn in Group A. Egypt won against Cameroon 1–0, the Ivory Coast 1–2, but drew with Togo 0–0. Egypt advanced to the next round, the semi-finals, to face Nigeria. Egypt lost to Nigeria in penalties, with the score in penalties being 7–8, after drawing 2–2. For the third place match, Egypt lost 3–1 to Algeria. Even though Egypt were in fourth place in the previous tournament, it changed. In the 1986 Africa Cup of Nations, Egypt became the host again. In their opening game, Egypt lost to Senegal 1–0. However, Egypt went on to win their two remaining games in the group stage, with scores of 2–0 against the Ivory Coast, and 2–0 against Mozambique. Egypt were in first place in Group A, and in the semi-finals, Egypt won against Morocco 1–0, advancing to the final since the 1962 edition, to play against Cameroon, who had Roger Milla. Egypt won the game 5–4 in penalties, after drawing 0–0, thus becoming champions for the third time since the tournament from 1959. In the 1988 Africa Cup of Nations in Morocco, Egypt were not as successful than in the 1986 edition. Egypt entered this championship as the current title holders. They were in Group B with Cameroon, Nigeria, and Kenya. In their game against Cameroon, they lost 1–0 by a goal from Roger Milla. However, they did not lose against Nigeria and Kenya, as Egypt drew 1–1 against Nigeria in Stade Moulay Abdellah in Rabat, and defeated Kenya 3–0, also in Stade Moulay Abdellah, with two goals from Gamal Abdelhamid and one goal from Ayman Younes. Despite, they were a point below from entering the next round, which was the semi-finals. In the 1990 Africa Cup of Nations in Algeria, it got worse. Egypt did qualify for this tournament, and they were put in Group A, along with Algeria, Nigeria, and the Ivory Coast. Egypt lost all their group stage games, thus making Egypt fail to obtain at least one point for the first time in the Africa Cup of Nations. The scores the 3–1 defeat to the Ivory Coast, the 1–0 defeat to Nigeria, and the 2–0 defeat to Algeria. In the 1992 Africa Cup of Nations, hosted in Senegal, Egypt entered by qualifying to this tournament. Egypt were placed in Group D with Ghana and Zambia. In their game against Zambia, Egypt lost 1–0. In their game against Nigeria, they lost again by a score of 1–0 too. Egypt again failed to obtain a least a point for the second time, being consecutive, along with losing all their games in the group stage. In the 1994 Africa Cup of Nations, in Tunisia, Egypt were in Group B with Nigeria and Gabon. In their first game, against Gabon, Egypt won 4–0 with goals from Ayman Mansour, Hamza El-Gamal, in which they scored once in that game, and Bashir Abdel Samad, who scored two. In their second game, they drew against Nigeria 0–0. Egypt were able to qualify to the next round, which were the quarter-finals, being first place in Group B by goal difference, to face Mali. In this game, Egypt lost 0–1 to Mali in Stade El Menzah in Tunis, thus knocking out Egypt from the tournament. In the 1996 edition, hosted in South Africa, Egypt participated in this tournament. Egypt were placed in Group A with the hosts South Africa, Cameroon, and Angola. In their first game, Egypt faced Angola, successful winning 2–1 with both goals scored from Ahmed El-Kass. In their second game, however, Egypt lost 2–1 against Cameroon. In their third game, against South Africa, Egypt defeated South Africa 0–1, with the goal from El-Kass. Egypt qualified to the quarter-finals, as runners-up of the group, being behind the hosts. In the quarter-finals, Egypt were to face Zambia. In this game, Egypt lost 3–1. This eliminated Egypt, with South Africa winning their first title, and as hosts. In the 1998 Africa Cup of Nations, in Burkina Faso, Egypt qualified for this tournament. Egypt were placed in Group D, with Mozambique, Zambia, and Morocco. In their first game, Egypt won Mozambique 2–0, with the two goals from Hossam Hassan. In the game against Zambia, Egypt again won 4–0, with the goals being a hat trick from Hassan and one from Radwan. In their third game however, Egypt lost against Morocco, 1–0, with the goal scored in the 90th minute from Mustapha Hadji. Despite this defeat, Egypt qualified to the quarter-finals, as runners-up of Group D, and they were to face against the Ivory Coast. 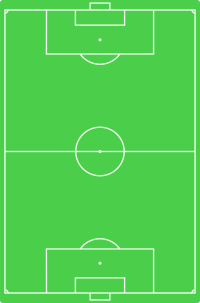 In this game, Egypt won 5–4 in penalties, after a 0–0 draw. This made Egypt advance to the semi-finals since the 1986 tournament. In their semi-final, Egypt faced the hosts Burkina Faso, in which Egypt defeated Burkina Faso by a score of 2–0, with the goals scored from Hassan. This made Egypt go to the final since the 1986 tournament, the same tournament that was their last tournament as champions, to play against South Africa. In the final, Egypt were successful, winning 2–0, with a goal from Ahmed Hassan and a goal from Tarek Mostafa. Egypt won their fourth title since they won as hosts in the 1986 tournament. For the 2000 Africa Cup of Nations, Egypt entered as the defending champions. This tournament was in Ghana and Nigeria. They were in Group C with Senegal, Zambia, and Burkina Faso. In these three games, Egypt won the three of them. Their match against Zambia was a 2–0 victory, a 1–0 victory over Senegal, and a 4–2 win against Burkina Faso. With these three victories, Egypt were the group leaders and they advanced to the quarter-finals. In the quarter-finals, they lost to Tunisia 0–1, the goal was scored by a penalty kick. Egypt were eliminated from the tournament, in which Cameroon won their third title. In the 2002 African Cup of Nations, in Mali, Egypt qualified for this tournament. Egypt were placed in Group D with Senegal, Tunisia, and Zambia. In their opening match, Egypt lost 0–1 to Senegal. However, Egypt won their two remaining group stage games, with the scores of 1–0 against Tunisia and 2–1 against Zambia. Egypt advanced to the quarter-finals, as runners-up, with six points, to face Cameroon. In this game, being Cameroon vs. Egypt, in the quarter-finals, Egypt lost 1–0. This score eliminated Egypt. In this tournament, Cameroon won their fourth title, being the second title won consecutively. Egypt qualified to the 2004 Africa Cup of Nations, which was hosted in Tunisia. Egypt were placed in Group C with Algeria, Zimbabwe, and Cameroon. Egypt won 1–2 against Zimbabwe, lost 2–1 to Algeria, and drew 0–0 against Cameroon. Egypt failed to qualify for the quarter-finals due to that Algeria scored a goal more than Egypt, after leveling on points and goal difference. Tunisia, the hosts won their first title, beating Morocco in the final. Egypt starting line-up against Ivory Coast at the 2006 Africa Cup of Nations Final, a match they won 4–2 on penalties after a goalless draw. The 2006 Africa Cup of Nations was hosted in Egypt, making Egypt automatically qualified. They were in Group A with Libya, Morocco, and the Ivory Coast. In the opening match, Egypt defeated Libya 3–0. In the second game, Egypt drew 0–0 against Morocco. However, in the third game, Egypt won 3–1 against the Ivory Coast, thus making Egypt as the group leader and advancing to the next round, the quarter-finals. In the quarter-finals phase, Egypt faced DR Congo, in which Egypt won 4–1, thus making Egypt advance to the semi-finals. In the semi-finals, Egypt faced Senegal. In this game, Egypt won Senegal 2–1, thus making Egypt qualify for the final to face the Ivory Coast, after playing against each other in the group stage. In the final match, Egypt drew 0–0 with the Ivory Coast, sending them to extra time, and still, the score remained 0–0. After extra time, the game was taking to the penalty shoot-out phase. In the penalty shoot-out phase, Egypt were victorious, winning 4–2 against the Ivory Coast, and claiming their fifth title, being the third title won as hosts, the last time Egypt won the tournament before this was in 1998. In the 2008 African Nations Cup in Ghana, Egypt qualified for this tournament. In this tournament, Egypt were placed in Group C with Cameroon, Zambia, and Sudan. Egypt beat Cameroon 4–2, won against Libya by a score of 3–0, but drew 1–1 against Zambia. Egypt entered the quarter-finals as the group leader. In the quarter-final, Egypt faced and beat Angola 2–1. Then, Egypt advanced to the semi-finals to face the Ivory Coast. The last time they faced each other was in the 2006 final, in which Egypt won the game, claiming their fifth title. In the semi-finals, Egypt were victorious, beating Ivory Coast 1–4. Egypt advanced to the finals to face the Cameroonians. In this game, Egypt won 0–1 thanks to a goal from Mohamed Aboutrika, helping Egypt win their sixth title. This also marked Egypt winning two consecutive Africa Cup of Nations. In the 2010 Africa Cup of Nations, in Angola, Egypt qualified for the tournament. Egypt were in Group C with Nigeria, Benin, and Mozambique. Egypt won their three group stage games, thus advancing to the quarter-finals, to face Cameroon. In this match, Egypt won 3–1 after extra time, thus eliminating the Cameroonian team. In the semi-finals, they faced Algeria, in which Egypt won 4–0, making Egypt go to the final for the third consecutive time. In the final, Egypt faced Ghana. In this game, Egypt won 1–0 against Ghana, with the goal scorer being Gedo. This led Egypt to their seventh title, win their third consecutive cup, become the first nation to win three consecutive Africa Cup of Nations titles, becoming the most successful team in this tournament. However, for the 2012 Africa Cup of Nations in Gabon and Equatorial Guinea, even though Egypt were the defending champions, they failed to qualify. After the Port Said Stadium riot which caused the deaths of 74 people, the Egyptian government shut down the domestic league for two years, which affected the Egyptian national team, resulting in their failure to qualify for the 2013 Africa Cup of Nations. For the third consecutive time, Egypt failed to qualify for the Africa Cup of Nations, this time in Equatorial Guinea in 2015. For the 2017 Africa Cup of Nations, which was hosted in Gabon, Egypt had to qualify to enter. Egypt were seeded into Group G with Nigeria, Tanzania, and Chad. In their first game, against Tanzania, Egypt won 3–0. This made Egypt joint group leader by goal difference with Nigeria, with both nations having won their first game. On 4 June 2016, in their qualifying away match against Tanzania, Egypt won 2–0 and managed to secure their berth in the 2017 edition of the championship. This marked Egypt's return to the competition after 7 years having missed out on the previous 3 editions. In Gabon, Egypt registered a 0–0 draw against Mali in their first match in Group D. Successive 1–0 wins against Uganda and Ghana saw the Pharaohs qualify to the quarter-finals as group winners. Egypt faced Morocco at the quarter-final stage, and defeated their North Africa rivals for the first time in 31 years to set up a semi-final clash with Burkina Faso. Mohamed Salah's goal against the Stallions was canceled out by an Aristide Bancé strike; however, veteran goalkeeper Essam El-Hadary saved two spot-kicks in the penalty shootout to earn a spot in the final for his team. Egypt then faced for the third time at this stage Cameroon, hoping for history to repeat itself for an 8th title. Egypt opened the score before the break thanks to Arsenal's midfielder Elneny. However, Cameroon stepped up its game in the second half and Nicolas Nkoulou scored the equalizer before Vincent Aboubakar scored the second goal in the last minutes. For the second time in its history Egypt lost an AFCON final, and for the first time lost a final to their rival Cameroon. Egypt has qualified for the FIFA World Cup three times: in 1934, in 1990 and for the 2018 editions. Egypt was the first African country to qualify for the World Cup. The time it took Egypt to qualify for two successive tournaments (56 years between 1934 and 1990) is a World Cup Record that is shared only with Norway (1938-1994). After beating Mandatory Palestine, Egypt qualified for their first World Cup. It lost to Hungary 4–2 in their first and only match in 1934. In 1990, Egypt was drawn in Group F with Ireland, England and the Netherlands. Since the Egyptians favored defensive tactics, they scored only one goal in the 1990 World Cup, scored by Magdi Abdelghani through a penalty. This made Abdelgani the first African to score a penalty kick in the World Cup. A 1–1 draw with the Netherlands gave the Egyptians their first point in the World Cup. They then drew again, this time goalless, with Ireland. While the Egyptians needed just a draw to progress to the next round, they lost 1–0 to England. As of June 2018, Egypt had yet to win a game. On 8 October 2017, Egypt qualified for the 2018 World Cup after a 2–1 win over Congo. The two goals were scored by Mohamed Salah with the second one in a dramatic last-minute penalty. Salah has scored the most goals (tied with Préjuce Nakoulma) in the third round of the CAF 2018 World Cup qualification campaign with five goals. In the 2018 World Cup, Egypt was drawn with Saudi Arabia, Uruguay and the hosts, Russia. They started their first game against Uruguay, without their talisman Salah, who was injured in the UEFA Champions League final with Liverpool against Real Madrid. Egypt's team built a strong defense with only a few counter attacks. The first half was a boring goalless draw. In the second half, things were looking good for Uruguay, who had more goal-scoring chances, however, El Shenawy made several key saves including a strong kick from Cavani. Near the end, Uruguay had gotten a free kick near the goal. But Cavani's shot hit the post. In the 89th minute, right when it seemed the two sides would draw, Jimenez scored a header from a free kick, ruining Egypt's dreams. Due to strong saves by Egypt's goalkeeper, he was voted man of the match but he refused the reward due to the sponsorship by Budweiser. Against the hosts, Egypt was more optimistic due to Salah being called up as a starter. The first half was quiet strong for Egypt who had higher position of the ball and made several goal-scoring opportunities, but the first half was goalless. In the second half, Russia scored when El-Shenawy's punch went to Roman Zobnin, who kicked very weakly but Ahmed Fathy, who got the ball, panicked despite there being no Russians nearby, and scored an own goal right in the corner. This led to Egypt's morale going down, with two more goals coming. Mário Fernandes drove into the box before supplying a cut-back from the right for Denis Cheryshev to slot home Russia's second with his left foot. Artem Dzyuba made it 3–0 as he took a lofted ball into the box down on his chest, taking a touch to go past Ali Gabr and finish between El-Shenawy's legs with a low shot. Salah won a penalty after he was fouled by Zobnin – although it was only given after a consultation with the video assistant referee as the referee had initially said the offence took place outside the box. Salah scored from the spot to become only the third Egyptian player to score at a World Cup. This was Egypt's first goal in 28 years. Egypt could have been awarded a second penalty but it went unseen by the referee. Five minutes before the interval Ahmed Fathy was adjudged to have deliberately handled Yasser Al-Shahrani's cross inside the area. El Hadatu produced a save to deny Fahad Al-Muwallad's kick but his celebrations were cut short when a second penalty was awarded for Ali Gabr's tug on Al-Muwallad's shirt. Salman Al-Faraj stepped up this time to fire past the goalkeeper and draw his side level. Egypt substitute Kahraba fired straight at Al-Mosailem late on. Salem Al-Dawsari finished a right-footed volley past El Hadary in the closing stages. The second penalty shot was the latest goal scored in the first half in a world cup match since 1966 at 50 minutes and 36 seconds. The second goal, while not a record, was scored at the 95th minute (despite there being 4 minutes of extra time) to which the referee ended the match right after. Hector Cuper who was criticized due to his defensive strategies, was sacked. The Egyptian Football Association was also criticized due to having its base in Chechnya, A Muslim Russian state that has no football history and is far from where Egypt's matches were played. It is believed the EFA did this due to politics. While the match with Uruguay had few spectators, the match against Russia had tons of Egyptians, to the point the Egyptians outnumbered the Russians (despite the match being hosted by Russia.) This was marred with controversies since a lot of Egyptian celebrities had attended for free, possibly as a deal with an Egyptian Telephone Company. The low attendance in the Egypt-Uruguay match was due to 'ghost victors,' people who bought tickets but didn't attend. It is one of the least attended World Cup Matches in the Modern Age. The Egyptian Media and public heavily criticized EFA's management of the team. The players also refused to hold post-match interviews, with many of them facing fines or bans by FIFA. The following 24 players were called up for the 2019 Africa Cup of Nations qualification match against Niger and the friendly match against Nigeria on 23 and 26 March 2019 respectively. Caps and goals as of 26 March 2019 consequent to the match against Nigeria. El Entag El Harby v.
New York Red Bulls v.
Al Mokawloon Al Arab v.
PRE Preliminary squad / standby. WD Player withdrew from the squad for non-injury related reasons. Javier Aguirre, the current manager of the Egypt national football team. Wikimedia Commons has media related to Egypt national football team kits. The Egypt national football team's tradition color is red. Matches played in last 12 months, as well as any future scheduled matches. As of 16 November 2018. Players in bold are still active at international level. Egypt have appeared in two of the nine FIFA Confederations Cups contested, the team was eliminated on both times during the group stage. Egypt's first Confederations Cup appearance was in 1999 as a result of winning the Africa Cup of Nations in 1998. The second appearance was in 2009 as the Africa Cup of Nations winners in 2008. During the second appearance, the team achieved their first win over Italy 1–0 in the second round of the group stage. Football at the Summer Olympics has been an under-23 tournament since 1992. Note: * The 1992 edition organised as part of the Pan Arab Games, and also counted as Arab Nations Cup. ^ "157 appearances according to some sources, as FIFA, unlike the Egyptian Football Association, does not recognise two appearances El-Hadary made in a 2–0 friendly away win over Qatar in Doha on 28 December 2012, and in a 1–0 friendly home win over Kenya in Aswan on 30 August 2014. ^ "African Nations Cup 1957". www.rsssf.com. ^ "African Nations Cup 1959". www.rsssf.com. ^ "African Nations Cup 1962". www.rsssf.com. ^ "African Nations Cup 1963". www.rsssf.com. ^ "African Nations Cup 1965". www.rsssf.com. ^ "African Nations Cup 1968". www.rsssf.com. ^ "African Nations Cup 1970". www.rsssf.com. ^ "African Nations Cup 1972". www.rsssf.com. ^ "African Nations Cup 1974". www.rsssf.com. ^ "African Nations Cup 1976". www.rsssf.com. ^ "African Nations Cup 1978". www.rsssf.com. ^ "African Nations Cup 1980". www.rsssf.com. ^ "African Nations Cup 1982". www.rsssf.com. ^ "African Nations Cup 1984". www.rsssf.com. ^ "African Nations Cup 1986". www.rsssf.com. ^ "African Nations Cup 1990". www.rsssf.com. ^ a b "African Nations Cup 1992". www.rsssf.com. ^ "African Nations Cup 1994". www.rsssf.com. ^ "African Nations Cup 2000 - Final Tournament Details". www.rsssf.com. ^ "African Nations Cup 2002 - Final Tournament Details". www.rsssf.com. ^ "African Nations Cup 2004". www.rsssf.com. ^ "African Nations Cup 2006". www.rsssf.com. ^ "El-Hadary made history as Mali held Egypt to goalless draw". 18 January 2017. ^ "Late Abdallah El-Said goal eliminates Uganda from AFCON". 21 January 2017. ^ "Egypt beat Ghana to reach quarter-finals as group winners". 25 January 2017. ^ "Kahraba strikes late as Egypt beat Morocco, reach AFCON semis". 29 January 2017. ^ "El-Hadary's heroics send Egypt to AFCON 2017 final". 2 February 2017. ^ "Mohamed Salah brace sends Egypt to Russia". AfricanFootball.com. 8 October 2017. Retrieved 10 October 2017. ^ "Egypt part ways with head coach Hector Cuper". Retrieved 5 July 2018. ^ Zidan, Karim. "The Egyptian Football Association Turned Mo Salah's World Cup Into An Embarrassing Disaster". Deadspin. Retrieved 5 July 2018. ^ "Controversy in Egypt over celebrity cheering delegation's presence at World Cup". Ahram Online. Retrieved 5 July 2018. ^ "Egypt 0-1 Uruguay: FIFA looking into more than 5,000 no-shows at Uruguay-Egypt game - MARCA in English". MARCA in English. Retrieved 5 July 2018. ^ "Egypt to Investigate Egyptian Football Association's 'Failures' at World Cup | Egyptian Streets". Retrieved 5 July 2018. ^ "Op-ed review: Blaming EFA, bad management for Egypt's 'humiliating' World Cup defeat, exit - Daily News Egypt". Daily News Egypt. 27 June 2018. Retrieved 5 July 2018. ^ Dorsey, James M. "Egyptian Soccer Focuses on Corruption Rather Than Performance". Bleacher Report. Retrieved 5 July 2018. ^ "Egypt players facing fines, bans for unauthorised interviews during World Cup". www.msn.com. Retrieved 5 July 2018. ^ "Egypt players face bans after unauthorised interviews". ESPN. Retrieved 5 July 2018. ^ "Egypt's Football Players May Face Bans Up To One Year | Egyptian Streets". Retrieved 5 July 2018. ^ "خماسي بيراميدز والسولية ومحمود علاء ومفاجآت في اختيارات أجيري لمعسكر مارس" [Five players from Pyramids, Amr El Solia, Mahmoud Alaa and many more surprises from Aguirre's selection for the national team March camp]. FilGoal. 26 February 2019. Retrieved 27 February 2019. ^ "Egypt appoint Mexican Javier Aguirre as their new manager". BBC. 1 August 2018. ^ a b Hazem Adel. "Egypt – Record International Players". RSSSF. Retrieved 13 September 2013. ^ Adel, Hazem (19 April 2018). "Egypt - Record International Players". Rec.Sport.Soccer Statistics Foundation. Retrieved 22 June 2018. Wikimedia Commons has media related to Egypt national football team.